BEEF prices have hit an all-time high and “cautious optimism” is the outlook, according to EBLEX. But only a few months ago, beef farmers were in despair – and some are not convinced they will not be back there soon. He said the shake-out in dairy had had an effect, by cutting the supply of cheap bull calves available for fattening. And culling for TB, in the south and west, was another significant factor in the squeezing of supply. He said the 300p a kilo deadweight figure from EBLEX had already been well overtaken. Tony Thompson, auctioneer at Thirsk, agreed. 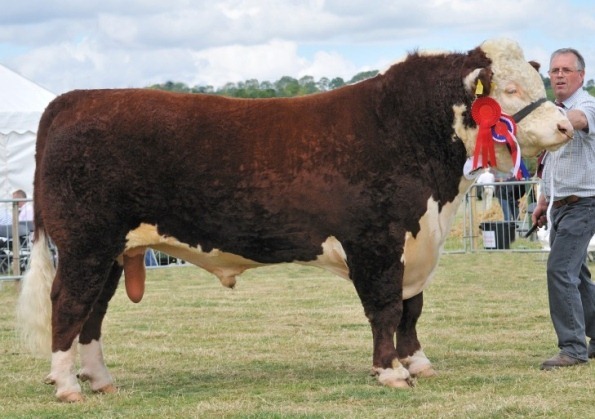 He said he had just seen heavy heifers selling for 201.6p/kg liveweight – the equivalent of 336p/kg deadweight. And good animals were selling for considerably more. One factor, he understood, was that abattoirs were getting money for hides and offal which were worthless a year ago. But Kim Haywood, director of the National Beef Association, said there was a new export market for hides and offal but the money was being used to subsidise supermarket prices rather than being returned to the farmer. BANK caution is squeezing production, says the National Beef Association. Director Kim Haywood said: “Banks appear either not to understand the urgent need for beef farmers to secure credit that reflects recent leaps in the value of store and breeding stock or their priority continues to be focused on the restoration of their balance sheet reserves instead of constructive lending.